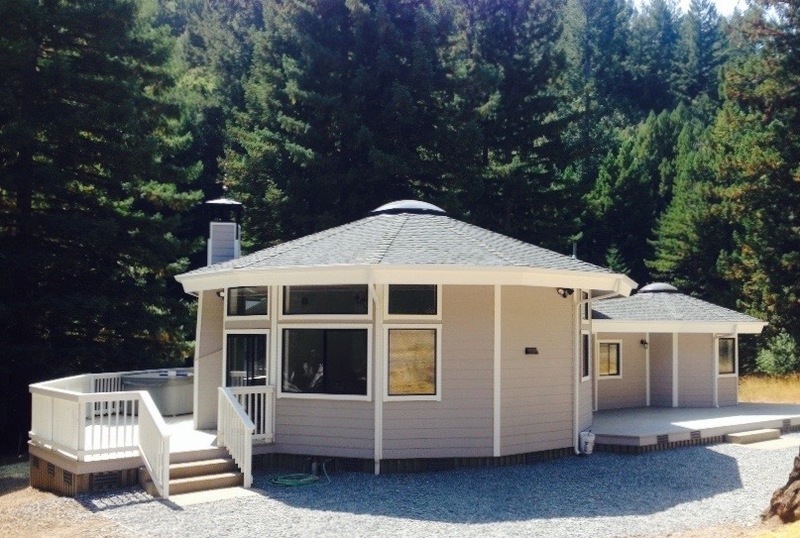 California Round House DBA California Yurts Inc. has been Building in the State since 1984. We are a full service Construction Company, manufacturer and installer of Custom Round Panelized sustainable homes, studios and structures. Based in Ukiah California is providing custom designed Frame Panel Code approved engineered Yurts. to make an appointment to see our model homes and discuss your new California Round House project. Towers offer dramatic views and use the same footprint as a single story so they fit both sloping sites as well as sites that require views that can only be seen from the higher 2nd story. Often our towers are configured interconnected to single story great rooms and garages in our larger home designs. 41’ of 6 tower homes with parking under Hopland Ca. © 2019 California Round House dba. All rights reserved.